Day 1 : Travel from Delhi to Leh by air. All guests are advised to rest for the entire day. 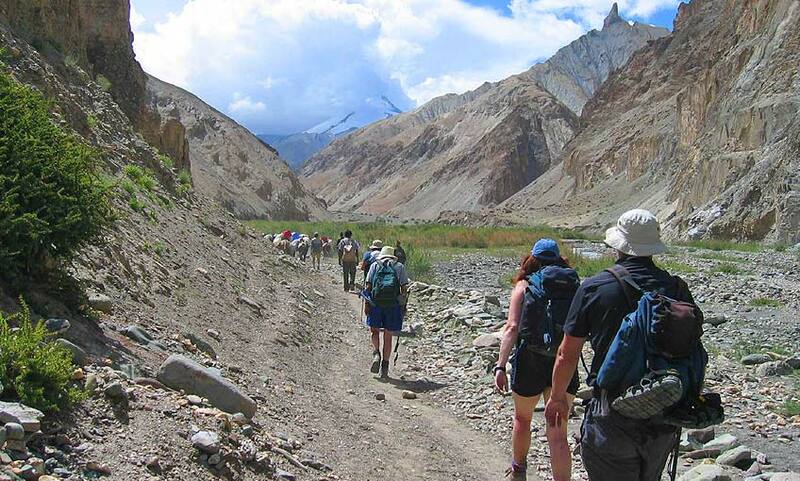 A successful trek in Ladakh requires you to acclimatize well. Day 2 : This day is meant to provide an opportunity to get a feel of the place. 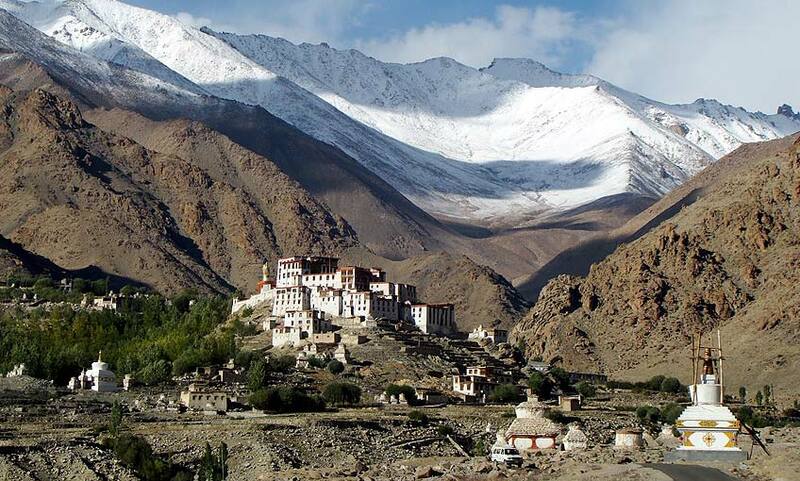 Guests will be driven to the Leh Palace, which houses old relics that belong to the sixteenth century ruler of Ladak. Later in the day a trip to the monasteries at Shey, Thiksey and Hemis will also be arranged. Morning after breakfast you will be driven by taxi to Likir which is just 58 kms. away. Likir Village (3650 mts.) is the starting point of our trek. Although the distance is short, the route is warm, without any shade or water and we need to traverse two passes. From Likir the route heads west up to Phobe La (3580m) and beyond this lies Sumdo village. 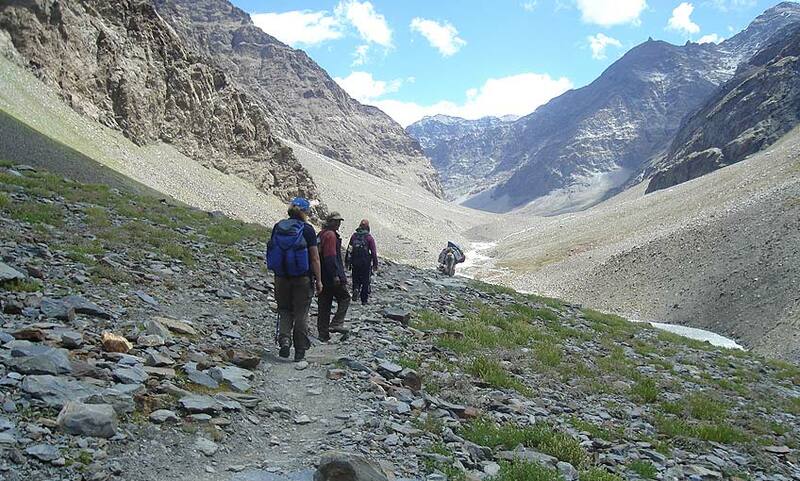 The trail goes steadily upwards till you get to Chagatse La (3630m). Across the pass is the village of Yangthang (3630m) where we camp for the night, next to a stream. 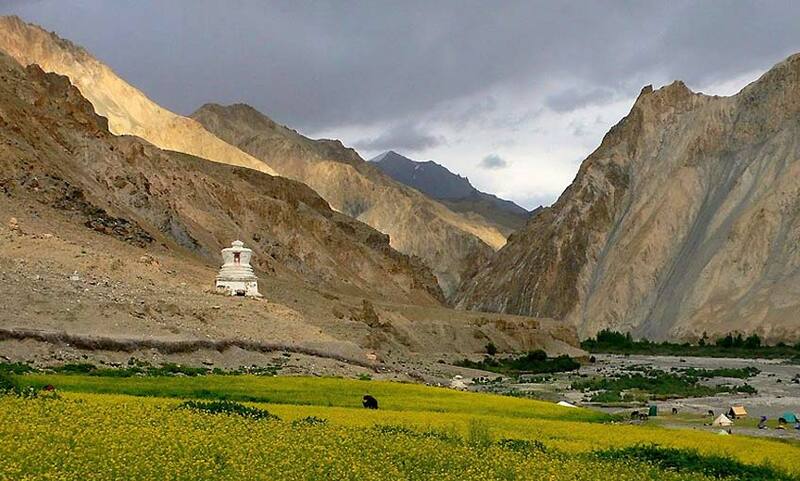 The Ridzong Monastery lies about an hour south of Yangthang. Today is an easy walk despite the pass because both the approach and the descent are of gentle gradients. The trail heads north, descending for a bit, crossing a stream before climbing up west again to Tsermangchen La (3750m). 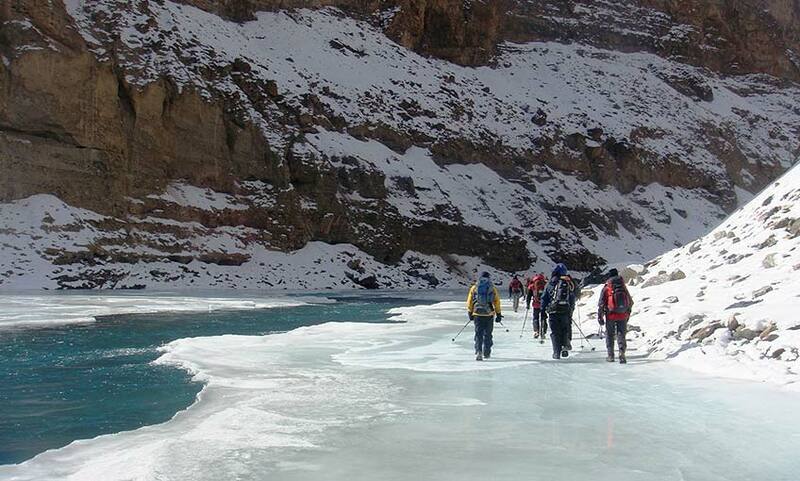 After a short rest at the pass we head down to Hemis Shukpachen. 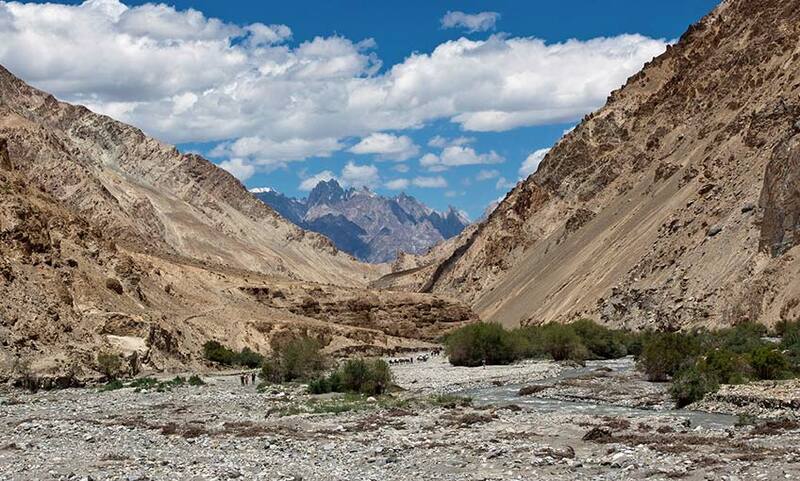 The village, named after the grove of cedars, is one of Ladakh’s prettiest. There are several sparkling streams surrounded by shady willows and large barley fields that provide a touch of green to the otherwise desolate, rocky mountains. Today is the last day and very easy as it’s downhill all the way on to the main road. From Temisgam there would be a taxi waiting to take back everyone to Leh.